SHIBA volunteers attend an outreach event in 2016. 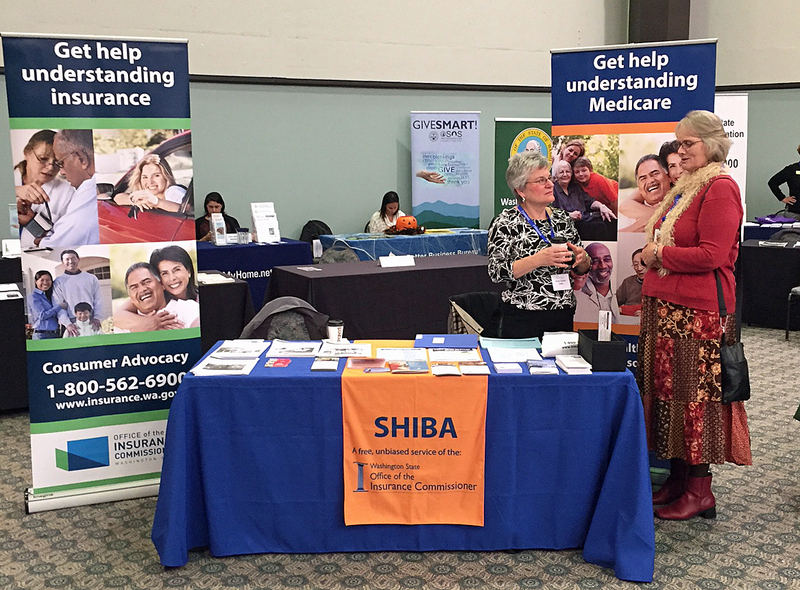 In honor of National Volunteer Month, we�re recognizing the more than 400 people who passionately volunteer their time to our Statewide Health Insurance Benefits Advisors (SHIBA) program. SHIBA's outstanding volunteer advisors are an integral part of the consumer protection work we do here at the Office of the InsuranceCommissioner. Choose a Medicare supplement plan. Review long-term care insurance policies. Apply for subsidies to help pay for prescription drugs and Medicare Savings Plans to help pay Medicare Part A and B premiums, copays and deductibles. Educated more than 105,000 people about Medicare. Held more than 3,300 outreach events statewide. Resolved 648 complex complaints from beneficiaries between March 2016 and February 2017. Examples of complaints can include beneficiaries who were out of coverage, had been disenrolled by a plan, or needed an emergency prescription drug refill. Last year, our volunteers donated 98,000 hours of their time to help Medicare consumers in our state. At a national average volunteer rate of $23.65 per hour, this amounts to approximately $2.3 million in valuable donated time and effort. We honor and celebrate our volunteers this month � and all year long � for their dedication, compassion, commitment, kindness and service. 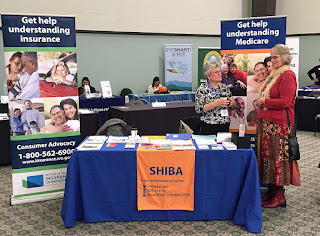 Read more about SHIBA services and where to find help in your area. You can reach SHIBA online or by phone at 1-800-562-6900.